CBD can be hit or miss depending on the source. There are many CBD companies that are selling synthetic products and preying on users who are looking for pain relief. Without FDA regulations or any federal guidelines on producing and selling CBD, it can be difficult for a consumer to know what is really in the product. We have created our vetted list which is made up of brands have demonstrated their trustworthiness, reliability and premium quality of products. Each company has either reached out to us or we have reached out to them. We have asked for their lab results and asked pertinent questions about their manufacturing process and products. What is your CBD source? Do you follow local and state laws? Can you provide accurate test results? Does your product include bacteria, yeast, mold, and other harmful ingredients? Each company has sent us products to be tested by various members of our team. They all have ailments that range from multiple sclerosis (MS), osteoarthritis, mental health disorder, to endometriosis and more. We feel that you as a user shouldn’t have to risk your life using products that are untruthful and sell synthetic products. We are always adding to this list. Bailey’s proprietary oil products are made with organically grown Hemp. Our crude Hemp Oil is rich with Phytocannabinoids, Terpenes, and Flavinoids for optimal therapeutic value. Caribee CBD is a small team of passionate, energetic individuals providing CBD outside of oils and tinctures. The result is a sweet drink mix (loaded with CBD). Flavors include Blueberry, Fruit Punch, Watermelon, Lemon Lime and Unflavored. 25 mg of CBD in each serving. A top brand with excellent products in the EU. DNH products are of Dutch origin and their plant nursery uses only the tops of organically produced plants. Their main aim is to provide a high and consistent product quality, with which they can make a positive contribution to your well-being. That’s what we work on every day with great dedication and pleasure. They also distinguish ourselves through an open and personal attitude, a Dutch no-nonsense mentality and products that always remain close to the plant. That is what makes an effective product successful! Fenix CBD is the producers of Phytocannabinoid rich hemp flowers, artisanal organically grown & pesticide. 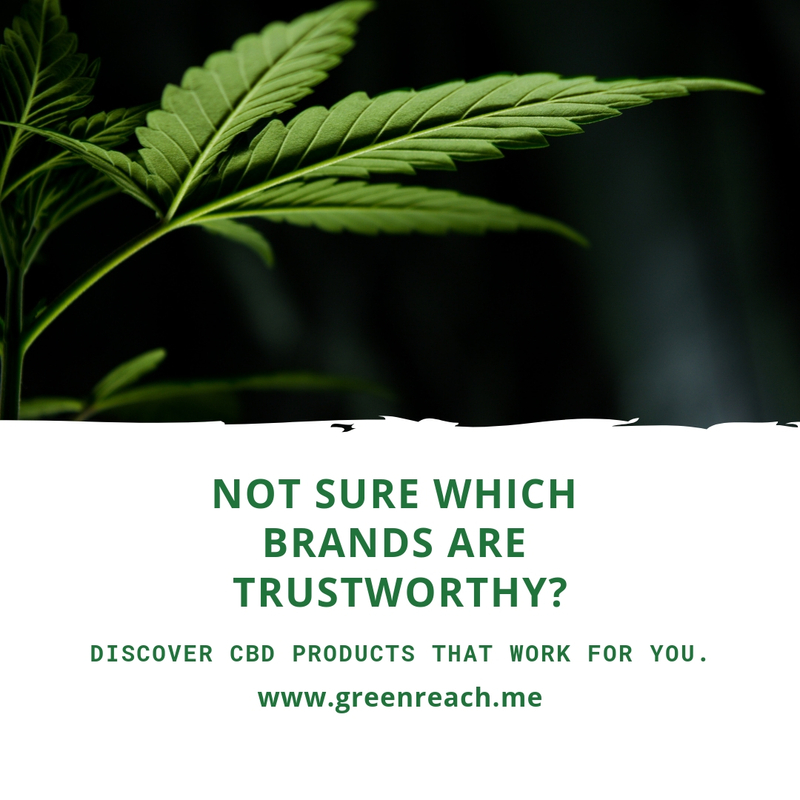 Green Thumb Naturals was founded by Kalan who used CBD to focus on natural healing away from his daily regimen of narcotic opioids and benzodiazepines to cope with the severe pain and anxiety. CBD Hemp Direct is a multi-state licensed Industrial Hemp Grower/Handler and the original CBD flower company. All CBD products sold here are derived from Industrial Hemp. Current lab testing can be found on their website. Made From Dirt’s topicals are formulated from natural ingredients for specific uses. Each ingredient is key and carefully thought out for the best results. They started their business after their friend was diagnosed with cancer and was told not to use certain products because of the chemicals. I researched more about cosmetics and household cleaners and learned how harmful they can be. I started making my own products and being in the cannabis industry for about a decade we were familiar with how beneficial cannabis is so we started to infuse them. Our goal is to offer products people can trust and love, we truly enjoy helping people and hope we can continue to grow our relationships with our consumers. Designed for wellness professionals, therapists, chiropractors, yoga and fitness studios, Morcheaba includes a variety of formulas, flavor, and concentrations to satisfy an entire audience. TONIC’s original CBD + botanical blends are handcrafted in small batches with purposeful ingredients that help calm your mind, heal your body and restore your essential balance. TONIC is a woman-owned company. Founder and CEO, Brittany Carbone, created these original blends to help with her own anxiety issues and after experiencing life-changing results, she knew she had to share it with the world. Carbone also owns a family-run hemp farm in upstate NY and plans on introducing extraction capabilities in 2019. TONIC’s growth has strong roots in delivering consistent, high-quality products that can help people in a real way. Helping people is TONIC’s entire mission, which is apparent in their high level of customer care, transparent practices, and dedication to innovation and quality. Check out our review on Tonic’s OG Tincture.